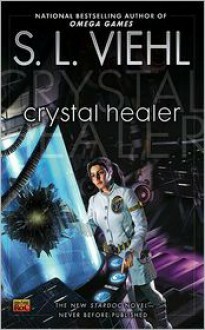 NINTH IN THE "CONTINUOUSLY SURPRISING AND DEVIOUSLY WRITEN" SERIESGenetically engineered interstellar surgeon Dr. Cherijo Torin, her husband Duncan Reever, and a handpicked crew journey to the planet oKia to locate a strange black mineral that is the source of an intergalactic epidemic. When one of the crew members becomes infected, his body slowly begins to crystallize. While Cherijo races to save the crew member, mercenaries arrive in the oKia system, wanting Cherijo's genes-and her near immortality. It will take all of her abilities to elude the mercenaries and discover the black crystal's secrets before it's too late.